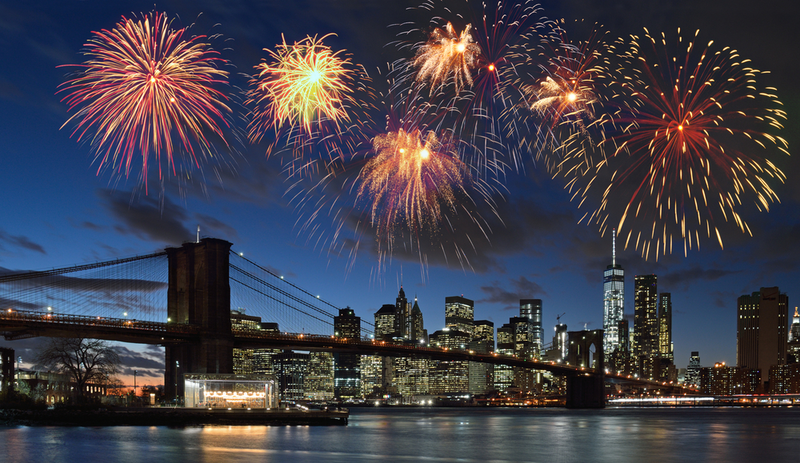 Independence Day in New York is as big as New Year’s Eve. By now, most fireworks cruises are sold out at steep prices, while many attractions will be closed for the day. This doesn’t mean you can’t have a fun day of patriotic celebrations. This year’s show is set to be one of the best in recent years. The problem is that unless you’re ready to spend hundreds of dollars per person in fireworks cruises or special admission tickets to the Empire State Building and One World Observatory, the chances to see the show from an elevated viewpoint are slim. Don’t be discouraged, however, as there will be plenty of spots around East River that you can snag with careful planning. The show is completely free and there will be approximately two miles of viewing points in Midtown Manhattan, East Village, Williamsburg and Greenpoint, and Long Island City. Competitive eating is definitely something you don’t see every day. 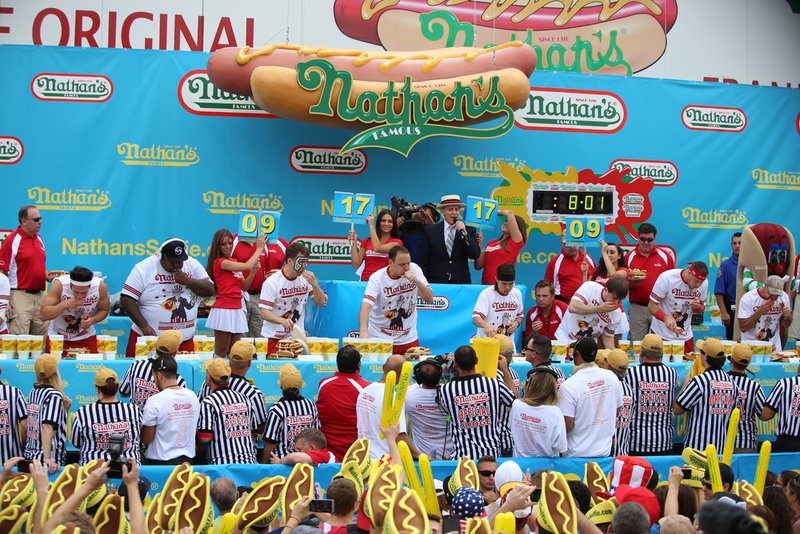 This Fourth of July, the world’s most famous eating contest is back in Coney Island. But first things first. Nathan’s Famous is a fast-food chain famous for (no pun intended) beef franks, fries, pickles, condiments and, above all, hot dogs. The Hot Dog Eating Contest has drawn some of the world’s top pro eaters, including current champions Joey Chestnut and Miki Sudo. If you want to see some shocking, if not slightly nauseating, competitive eating, don’t miss the fight for the ultimate prize: the Mustard Belt. A trip to Coney Island on the Fourth of July means you can hang out in the beach, grab a bite, ride the famous Cyclone in the amusement park and head to the boardwalk for the fireworks show at 9pm. Getting there from the Manhattan at Times Square: Take the N train (yellow) at 49th St to Stillwell Avenue. If you’re not interested in seeing the fireworks live, take a look at our posts Best Spots in New York City for Live Music, 5 Bars in Midtown for Budget Travelers and 5 Jazz Spots in NYC to Feel Mellow for ideas of where to go to celebrate.